The modern versions of Windows and other operating systems can use one of two standards to store information about hard disk partitions structures. This is an old standard MBR (Master Boot Record) and a new one — GPT (GUID Partition Table). 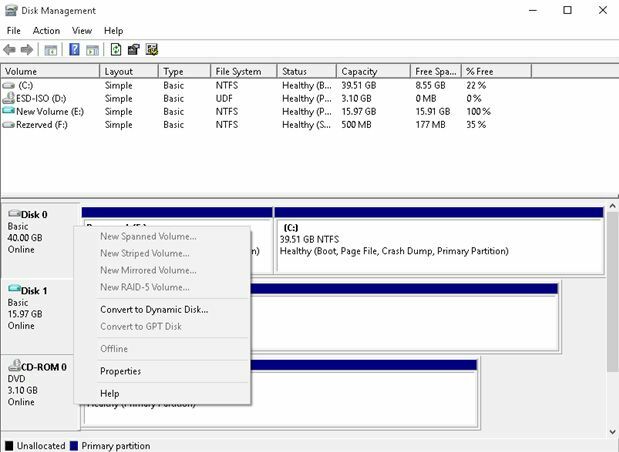 In the Windows OS family, the topic of the GPT and MBR disk partition tables became relevant after the distribution of computers and laptops with pre-installed Windows 10/Windows 8. 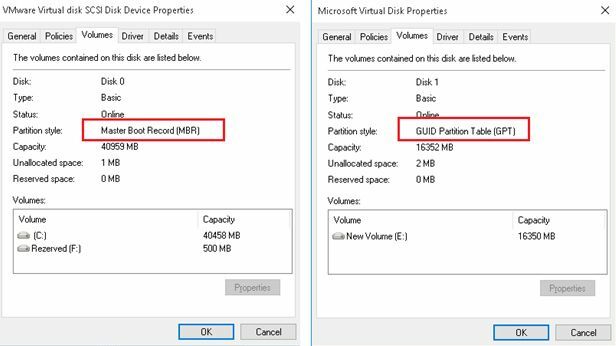 In this guide, we will show you a several simple ways on how to determine which Partition Table Style (GPT or MBR) has your disk (this can be a standard HDD or an SSD drive) using Windows built-in tools. Note. GPT replaced the MBR (uses BIOS) as a new standard for placing tables on a physical disk. In turn, GPT uses UEFI (Unified Extensible Firmware Interface), which replaced the BIOS. Unlike MBR, which is located at the beginning of the disk (it is a boot sector), GPT is a partition table on the disk (GUID table) and assigns a unique global identifier to the each partition. In Microsoft Windows, the partition table reserves 128 entries, which allows you to create up to 128 partitions. The important difference between the GPT partition table and the MBR is the ability to create a partition larger than 2 TB on the disk. 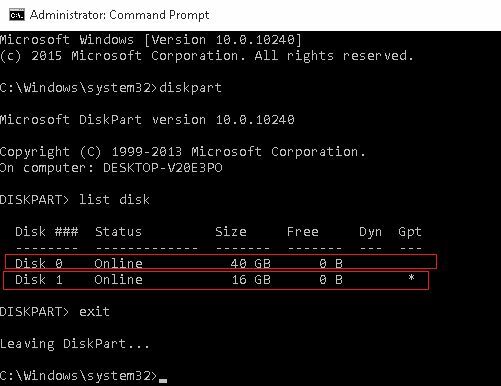 In order to determine which partition table is used by your disk (GPT or MBR), there are three useful, simple and accessible tools: Disk Management snap-in, command-line utility Diskpart and PowerShell. To open the Disk Management console, press the Win + R keys, type diskmgmt.msc and press Enter. The opened Disk Management window contains a list of all HDDs, SSD disks and USB-drives that connected to the computer. Right-click the drive which markup you want to know and select its Properties. If this disk uses the GPT, the Partition Style item specifies the GUID Partition Table (GPT). For MBR drive — Master Boot Record (MBR). Note the last column in the results of the command list disk. If there is a mark (asterisk), then this disk has the GPT partition style, those disks that do not have such marks — MBR (usually MBR, because there may be other options, for example, the system can’t determine the disk type).